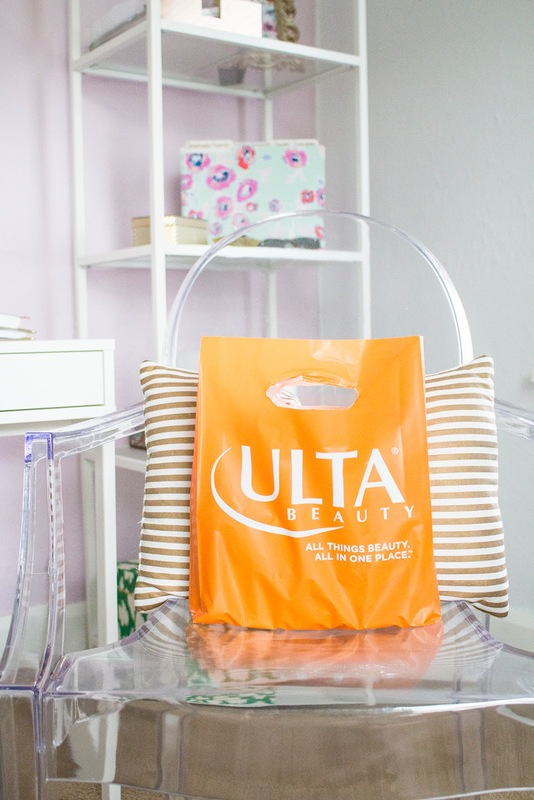 Traveling and planning a trip can be difficult. For one, if you have never been somewhere it's hard to know what to do, where to eat, places to stay, etc. In my opinion, it takes a lot of research, recommendations, and itinerary planning to be fully prepped and prepared for a trip. For my trip to San Francisco, I read a lot of blogs, browsed through reviews, and asked people I knew if they've ever traveled there. 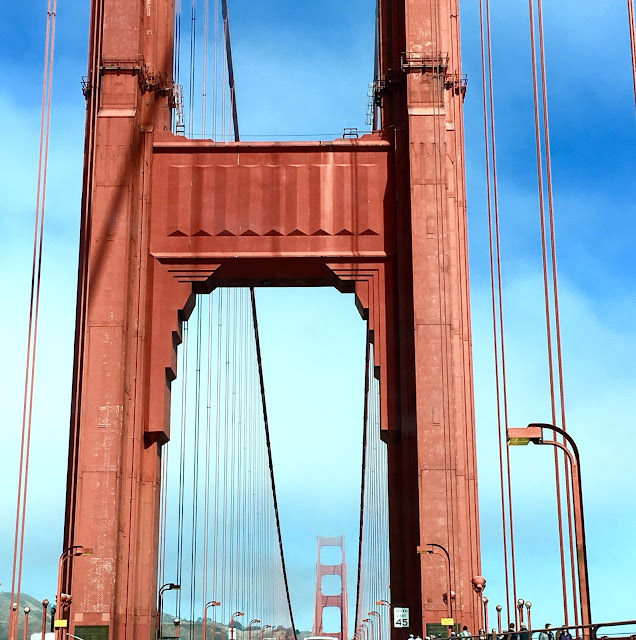 If you haven't been to San Francisco or are planning a trip - I've put together a list of must-see and must-do attractions and sites! While I like to stray from the beaten path, it's fun to see where all the tourists flock to as well. Some of my favorite places in San Francisco ended up being the views. They were simply stunning. Although I love the Midwest, one can only look at cornfields and cows so much. 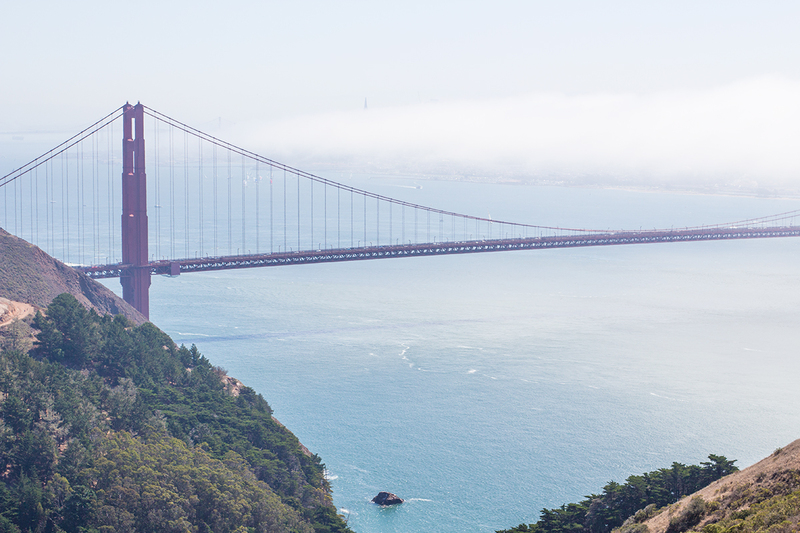 From the pacific ocean to the twin peaks, there is a lot that you can miss. 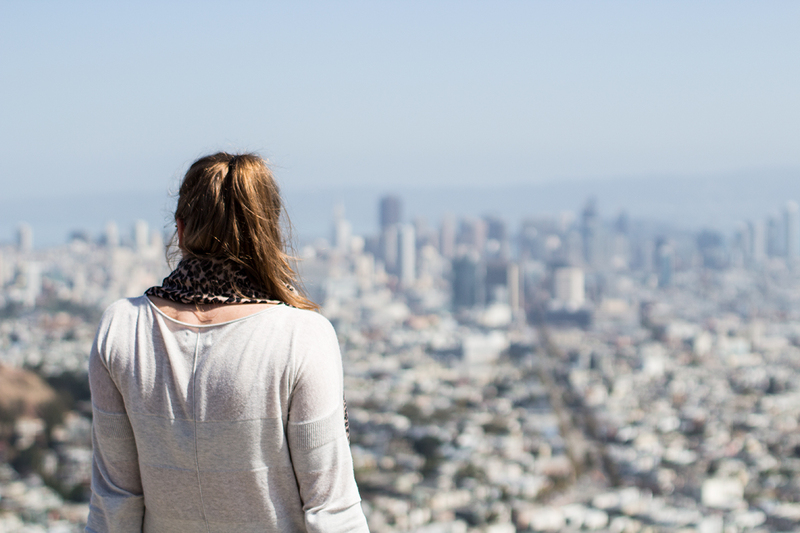 Places you must visit while touring/visiting San Francisco - - Twin Peaks: A 360 degree view of San Francisco and the bay. The first place on my list to stop and it did not disappoint. For a gal who has lived in small towns and cities her whole life, this was a breathtaking view! 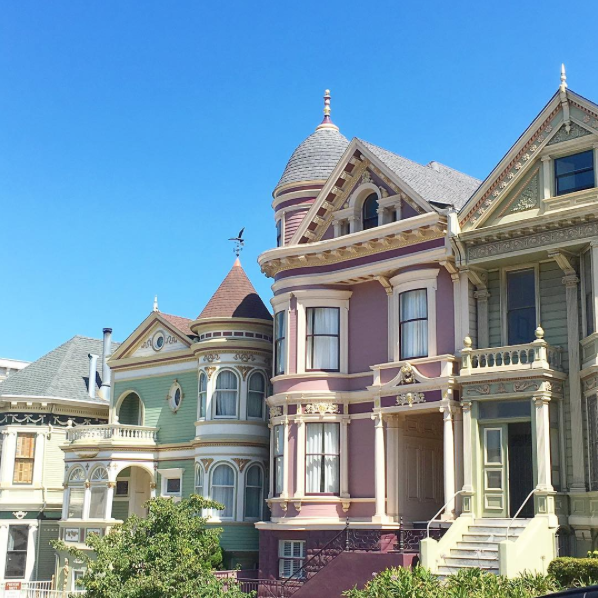 - Painted Ladies: The infamous painted ladies; it was pretty surreal knowing one of those homes was on one of my most beloved television shows, Full House. There were a bunch of tourists and unfortunately they are doing construction on the park across of street but a site to see nonetheless! Oh, and the neighboring blocks were just as fabulous (see pink home below). - Embarcadero: The embarcadero (or waterfront and roadway of the Port of San Francisco) is filled with local eateries and boutiques. If you are in the area and craving a sweet treat, you must stop at Miette. They have delicious gummies and savory macaroons! - Golden Gate Park (Pacific Ocean): Golden Gate park spans for many blocks and once you reach the end, a beautiful beach and the pacific lie to the west. I generally have tough feet but I got really bad heat blisters from how hot the sand was! Wear shoes and bring band-aids...just in case. - Fisherman's Wharf: This is a main tourist attraction but we wanted to see what all the hype was about. Walking along the pier, there are fun shops, seafood restaurants, and great people watching in this area. Near here, we ate at a restaurant called Fog City - hands down he best fish tacos ever. If you go to Fisherman's Wharf, I highly recommend to eat some seafood! - Gold Gate Bridge: An obvious tourist attraction. Make sure to pick a day where the fog isn't cascaded over the bridge, as this makes it very hard to see. I followed one of my favorite bloggers recommendations and we took a trail past Hawk Hill. You ended up going to a high point on Hawk Hill that overlooked the entire bridge. 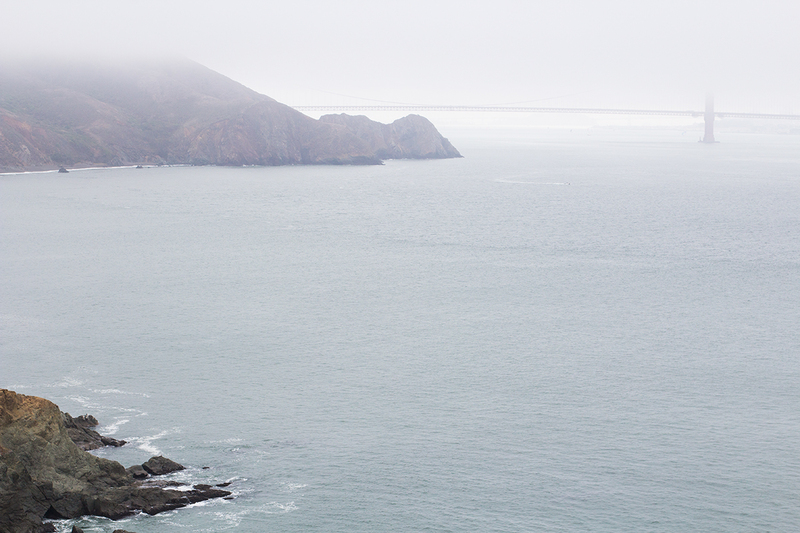 - Marin Headlands: Keep driving through the Marin Headlands - you will get to a stopping point where you can walk along the trail to Point Bonita lighthouse. Nearby is the black sand beach - we didn't have a chance to stop, just got to take a look but it's on my must-go list for next time! - Lombard Street: This street is full of character. It's extremely curvy and filled with bunches of shrubs and flowers. The homes along each side of the street are so eclectic. This is a beautiful (and clean) part of the city - spend some time here! - Ghirardelli Square: Lastly, chocolate. You can never go wrong with Ghirardelli. Free samples, wine tasting, and a bunch of cute boutiques - I could've spent a little more time here. If anything, go for a piece of chocolate. List other attractions and tourist spots you've been to below - that way I can file it for next time :).